For almost 2,000 years, anti-Semitism has been a self-inflicted wound and a disgrace in human civilization. Through the systematic persecution of Jewish nation and tradition, Western Culture has deprived itself of some of its greatest treasures, in ethics, in wisdom, humanism, and spirituality. For dozens of centuries, generation upon generation of Jewish citizens have been slandered, humiliated, put in prisons, tortured, assassinated, or forced into accepting Christianity as a practical means to avoid being killed. Operating under the discreet blessings of the Vatican priests in the first half of 20th century, Nazi-Fascism was an especially intense stage in such a process of fratricide. Even in the 21st century, anti-Semitism is popular in more than one country. And this, one must confess, is due in part to the significant limitations of the modern theosophical effort. In spite of many obstacles, however, students of esoteric philosophy have been slowly helping to build the foundations of a civilization which will live in harmony with the law of universal brotherhood. Theosophy has decisive things to say about the Jewish culture. That includes discussing its failures, its strength, and its essential unity with the eternal wisdom of all nations. In that which matters most, Theosophy is a natural ally to the Jewish tradition. Esoteric philosophy defends humanistic values, proclaims the right to religious diversity and advocates liberty of thought. It also condemns religious movements which persecute, kill, or make wars in the name of any god. Regarding the negative aspects of the Jewish religion, there are criticisms in the books of Helena Blavatsky. Frank debate and self-criticism are essential features of the Jewish tradition, and the Jews share this habit with the Russian culture where Blavatsky was born. And these victims were often Jewish. The presence of universal wisdom in the Hebrew tradition is mentioned - and quoted from - throughout the classical theosophical literature. 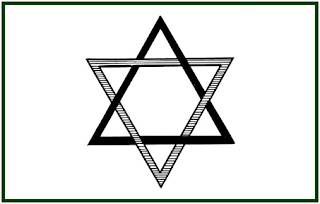 The numberless evidences of the common ground between Judaism and Theosophy start with the very seal of Solomon, which is an ancient sacred symbol in Eastern philosophies and religions. In his well-known book “Major Trends in Jewish Mysticism”, Gershom Scholem (1897-1982) discusses what he himself calls the theosophical principles of the Jewish Mercabah. Then the Chapter six in the same work is entitled “Zohar: Its Theosophical Doctrine”. This 1941 book describes nooks and corners of the immense area of knowledge shared by Theosophy and Judaism. In the present phase of human karma and evolution, such a common ground is necessary not only to these two fields of knowledge, but to others as well. A lasting peace and reconciliation among different cultures can only emerge from a correct vision of the broader context, historical, philosophical and religious. This means that both Islam and Christianity must gradually identify, acknowledge and undergo a reconciliation with their main common source, which is, of course, the Jewish religion. On the other hand, Judaism has its own sources to acknowledge and reconcile with, which are ultimately Eastern traditions. For Oriental wisdom is older than Western religions. 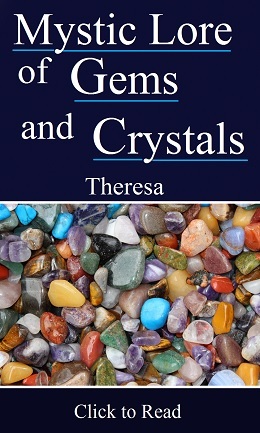 According to Theosophy, there are esoteric schools of universal wisdom based in the Himalayas whose ramifications are present in different continents. Jewish culture is not entirely separate from this long-term common effort to protect human evolution. It is only natural therefore that H. P. Blavatsky gives evidence in “Isis Unveiled” of an active esoteric school, or occult tradition, among the Hebrew. In spite of persecution, ancient wisdom is alive in the Jewish tradition, as H. P. B. shows in many a place, usually amidst apparent criticisms. One has to read beneath the surface and identify the key sentences in what she writes. In her article “The Kabalah and the Kabalists”, she admits the Jewish Kabalah is an Occult key. She compares in this text Hebrew to Sanskrit as occult languages, and shows Hebrew to be much weaker than the Eastern language. Still it is a deep and occult language, as she demonstrates during the comparison. Other languages may not even deserve such an examination. In her text “Tetragrammaton”, H. P. B. declares she is discussing the concept of Tetragrammaton according to the “Zohar” and on the basis of the explanations given her “personally by a Hebrew initiated Rabbi, in Palestine”. (“Collected Writings”, H.P.B., TPH, volume VIII, p. 142). In the same text, H.P.B. says she has been studying the Kabalah “for nearer forty than thirty years” (p. 140). She had a wide and deep understanding of the Jewish literature, including the works written by Moses Ben Maimon, or Maimonides (1134-1204). True sacred teaching leads to the development of unknown potentialities in human mind for which one must be psychologically and ethically prepared. Only the Few are ready for that, for they must be qualified in their own souls, and not only in their minds. Hence the need for secrecy. In spite of obstacles and barriers, Maimonides says in the sentence above that the mysteries “are perfectly clear to the philosopher”. The true philosopher has a transcendent view of things. His insight crosses the walls of protection, which were never meant to stop him, as the next lines will clarify. In the following sentence, one must also take into consideration that, from an esoteric point of view, “the Lord” is only a symbolical personification of the Universal Law. “Divine Chariot” is the Divine Vehicle, the Divine Teachings, the instrument of Wisdom. 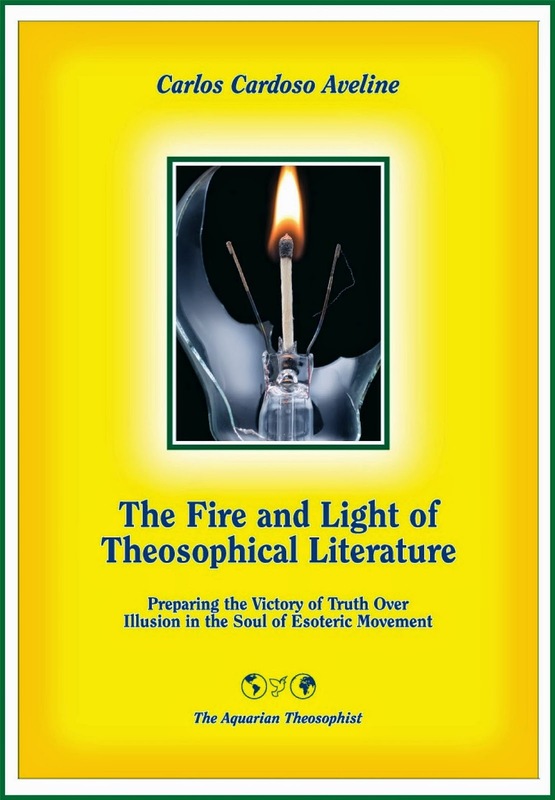 The concept of “ordinary intellect” corresponds in theosophy to the idea of “the doctrine of the eye”. “Providence” is, of course, a Western word for Karma Law. Maimonides is referring to a person who has the proper karmic merits. It is due to the ancient principle or rule of “direct oral transmission” in esoteric schools, that Initiates seldom imparted their teachings in written form. Maimonides has not received his belief from any teacher, but if he had, there is no guarantee that he would so declare in public. While admitting that one of his sources of conviction is in the utterances of Jewish sages, he accepts full responsibility for what he says. Esoteric philosophy can be summed up - and lived up to - as a set of universal principles, often expressed in axioms. It is only natural that Maimonides says he gains insights from the philosophical principles he has adopted. This statement has the advantage of protecting tradition against blind belief. Since the source of knowledge is not seen as infallible, each student must think by himself. This leads him to self-responsibility by having to judge and evaluate the validity or otherwise of the teaching. In the process, a true, inner affinity with the teaching emerges in the consciousness of the truth-seeker. The next sentences close the fragment we are discussing from “The Guide”. They refer to the prophet Ezekiel, whose vision happens to be extensively discussed by Blavatsky . This very same editorial line has been followed by H.P.B. in writing “Isis Unveiled”, “The Secret Doctrine”, and other works. Since secrets have to be preserved, occult subjects must be treated in a “useful” way, “without fully explaining” them. The words of a sage have several levels of meaning. The secret language often flows inside the outer or public speech, and it is exclusively addressed to those who “have ears to hear”, in the expression ascribed to that Jewish sage, Jesus or Jehoshua, in conversation with his disciples in Matthew, 11: 9-16. Maimonides then goes on to make a detailed analysis of the symbolical language used in Biblical texts, which often refer to celestial events involving the Sun, the Moon and stars to actually mean changes in states of consciousness in a nation or individual, due to the creation of new karmic situations. Esoteric books are not esoteric just because some of them are kept away from the public. Every great work or text is sealed in itself, in a way. Its higher layers of meaning can only be understood from the point of view of a universal, selfless and intuitive consciousness which not every reader has already attained. This factor is present in the works of Helena Blavatsky and in every deep writing. One has to have the right point of view in order to really see what is written in them, and part of a student’s discipline is to learn to develop a sort of “second attention”; a compassionate, but also impersonal, look at life. 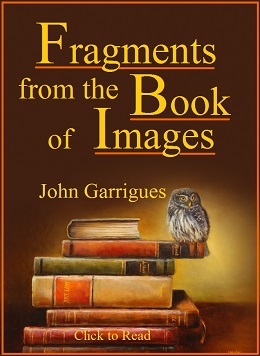 The use of parables and symbolism is an important tool in the process of transcending dead letter and awakening to a wider perception of teachings and events. If progress is achieved, however, what sort of events can take place in the lives of those who awaken to “a new sky and a new earth”? And what are the dangers involved? A very short story, told by Jewish author Martin Buber, makes a fine example of that. It has to do with the Sabbath and with undue curiosity. It also reveals an aspect of the inner side of Jewish wisdom which is in perfect accordance with some aspects of Eastern esoteric philosophy. Curiosity, or the desire to know, is a nice feeling as long as it is addressed to wisdom itself, and not merely to its outer dimensions. One has also to use legitimate means to satisfy one’s curiosity. As H. P. Blavatsky wrote in her article “Chelas and Lay Chelas”, one must “deserve, then desire”. Every attempt to steal knowledge is disastrous in one way or another. What is then one legitimate means, among others, by which one can obtain mystical knowledge and reduce the gap between one’s own consciousness and the consciousness of the zadikim or holy men? “God” is, of course, no “Lord” actually. It is the impersonal Universal Law, or the living, infinite and boundless Universe itself. The condition which enables one to attain a direct contact with the Law according to this Hasidic teaching corresponds to the Buddhist Void. Religions are like rivers: wisdom itself is the Ocean. Through the constant process of evaporation, the Ocean feeds the clouds in the sky, one of whose functions is to keep rivers alive. So the Ocean of Wisdom is both the destiny and the source of the rivers of devotion and search for truth. Judaism is no shallow religion. It is deep enough for everyone to see that its highest essence - the waters of life - is present in other religions and philosophies. The same can be said, of course, of other rivers of classical knowledge. Among them are Taoism, Raja Yoga, Pythagoreanism, Platonism, Hinduism, Buddhism, Confucianism - and the more recent Christian and Islamic sects, which borrowed so much from Judaism, and which must learn to respect the Hebrew tradition as their Source. There is of course nothing necessarily wrong about borrowing knowledge from other fields, as long as it is not stolen or taken by violence. All fields of knowledge can learn from each other, for life is truly an interdisciplinary effort in search for wisdom and happiness, and mutual help is part of the One Law. Each tradition which unconditionally respects Life constitutes in its own way the center of all human wisdom. For universal knowledge is like the Circle of Pascal, whose Center is potentially everywhere, and whose substance can belong to no one. Human beings are all brothers and sisters, and in spite of what blind dogmatisms may say, fratricide is against the One Law. An unconditional respect for All Life, on the other hand, opens the way to truth, to wisdom, to peace - and to inner happiness. “The Secret Doctrine”, Helena P. Blavatsky, Theosophy Company, Los Angeles, Vol. I, “Introductory”, p. xl. “The Secret Doctrine”, H. P. Blavatsky, Vol. I, p. xliii. “The Secret Doctrine”, Vol. I, p. xxiii. “Isis Unveiled”, Helena P. Blavatsky, Theosophy Company, Los Angeles, Volume I, pp. 435-436. “The Secret Doctrine”, Vol. II, pp. 456-457. “The Secret Doctrine”, Vol. II, p. 134, footnote. “Isis Unveiled”, Volume I, p. 17. “The Guide for the Perplexed”, Moses Maimonides, Dover Publications, New York, a reprint from its 1956 edition, 414 pp., pp. 251-252. “The Secret Doctrine”, Vol. I, p. 214. “The Secret Doctrine”, Vol. I, p. 354. A discussion of Ezekiel’s wheel and vision will be found at “Isis Unveiled”, by H. P. Blavatsky, Vol. II, Chapter IX, especially pp. 455-472. “The Guide for the Perplexed”, Moses Maimonides, Chapter XXIX of Part II, p. 204. Martin Buber, in “Teachings of the Jewish Mystics”, a volume edited by Perle Besserman, Shambhala Publications, Boston & London, 1998, 150 pp., see pp. 20-21. “Chelas and Lay Chelas” can be found in our associated websites. “The Maggid of Metzerich”, translated by Ayeh Kaplan. See “Teachings of the Jewish Mystics”, the volume edited by Perle Besserman, Shambhala Publications, 1998, p. 25.